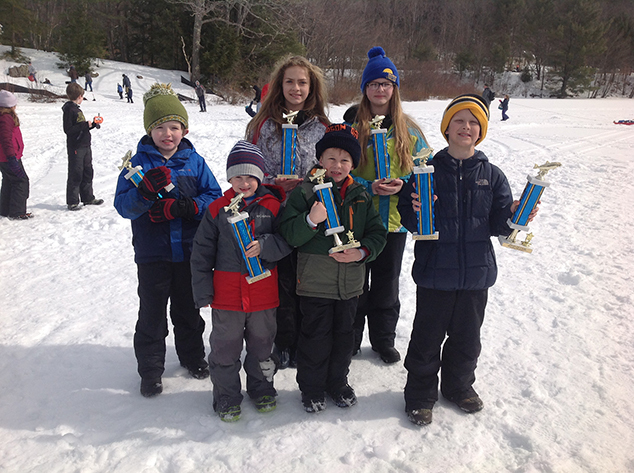 These are winners from the Kids’ Ice Fishing Derby, sponsored by the Andover Fish & Game Club, held on February 23, 2019. Pickerel: 1st, Seth Spaulding, 23 1/2″; 2nd, Ian Szilagyi, 19″; 3rd, Dasani Olsen, 18 1/2″; 4th, Mark Slocum, 16 1/2″. Perch: 1st, Andy Barton, 11″; 2nd, Seth Spaulding, 10 3/4″; 3rd, Savaughn Slocum, 10 1/2″.42 kids participated in the derby and 35 fish were caught.